At East Valley Implant & Periodontal Center , we can help you maintain healthy gums and treat current inflammation of your gum tissue. Our dentists, Dr. Todd Jorgenson, Dr. Joseph Capps and Dr. Ryan Harbertson are here to educate and treat patients on the importance of having healthy gums and how your gums can help you keep your teeth. Known in dentistry as Periodontal disease and to patients as Gum disease, this is a common yet serious infection of the soft tissues that are present to support your teeth. Statistics tells us that over 50% of adults have gum disease and many are unaware that they do. We also have patients who think that the symptoms are so common that they are normal and do not pose need for concern. This is not true. Gum disease is the leading cause of tooth loss, and can have serious repercussions leading to additional health problems..
• Your dental appliance, including partial denture or bridge are not fitting like they used to. If you are experiencing any of the above symptoms, contact our front office at East Valley Implant & Periodontal Center. 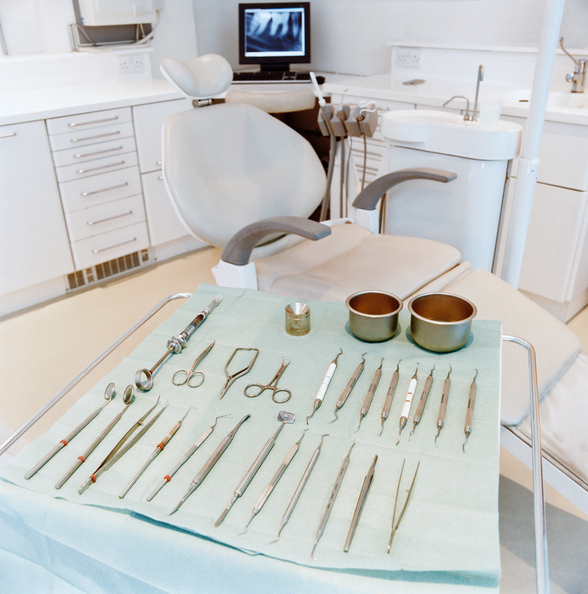 Most of these issues can be solved with a simple dental cleaning. Ignoring these symptoms will not make them go away, they will advance. Gum Disease can be due to other health changes, including pregnancy, or due to health hazards such as smoking or diabetes. If you are experiencing one of these factors, contact us to see how we can help. There are stages of Gum Disease, ranging in severity. The treatments required are based on the severity of the problem. In its early form, early gum disease is referred to as Gingivitis. This is the most common form of gum disease, generally caused from a buildup of plaque or calculus along the rim of your teeth next to your gums. Plaque is a blend of saliva and food debris material, and it is filled with bacteria that irritates your gums. If the plaque hardens into calculus, this material is difficult to remove and should only be removed by a Hygienist. How can I cure Gingivitis? Gingivitis can be cured through regular dental cleanings. A quick visit to East Valley Implant & Periodontal Center for a dental cleaning with our Hygienist will remove bacteria and improve the health of your gums. This will include the removal of plaque, and hardened calculus from all surfaces of the teeth above the gum line. We will follow your cleaning with education on how best to care for your teeth. Some patients find that changing their daily oral hygiene routine is also needed, a fresh toothbrush, and good flossing, along with an over the counter mouthwash can do wonders. Known as Periodontitis, this form of gum disease can lead to the loss of both tissue and the bone that supports your teeth. As this supporting tissue reacts to infection, your teeth could begin to feel loose can then start moving around in your mouth. If left untreated, aggressive periodontitis can be a highly destructive form of gum disease. Because there is no outward sign of this occurring, a patient can appear to be otherwise healthy. The long term effects of Periodontitis if not treated is the loss of some or even all of your teeth. What’s more, as the bone begins to atrophy, patients will get an older, sunken facial appearance, and will have to make drastic changes in their daily diet. How can I cure Periodontitis? Periodontitis is commonly helped through a Deep Cleaning process called Scaling and Root Planing. This is a dental treatment in which our hygienist cleans below the gum line, removing hardened plaque and contaminated debris that is causing infection. Scaling is done to remove bacteria. Using a tool that blasts oxygenated bubbles, we can remove a majority of the bacteria filled material from below your gum line. Following this, our hygienist will use a hand scaler to check for any remaining debris. This process removes contaminated biofilm, plaque, calculus, microorganisms, and toxins from around the gum line down to the bottom of each periodontal pocket in order to obtain a healing response. Root planing is the process of smoothing the root surfaces of your teeth using a thin instrument. This will allow your gum tissue to more firmly reattach to roots because they are clean and smooth and help prevent tooth loss and sensitivity problems. How can I cure my Gum Disease? at our Mesa, AZ 480-376-2848 option 1, and Scottsdale, AZ 480-376-2848 option 2 locations.